Dave Andreychuk, Gary Leeman, & Rick Vaive are the only 3 Toronto Maple Leafs to score 50 goals in a season in team history. In recognition of the historic achievements by these three Toronto icons, Frameworth has partnered with the players and created an exclusive 50 Goal Trinity 16x20" lithograph. This lithograph made its debut at the 2017 Fall Toronto Sport Card & Memorabilia Expo. 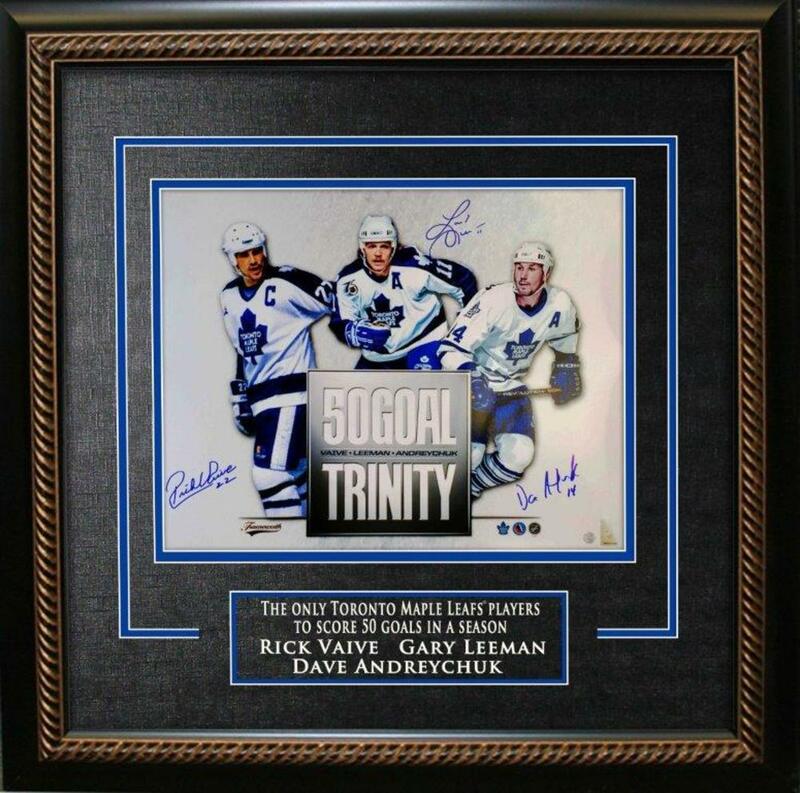 This photo is officially approved & hand signed by Dave Andreychuk, Gary Leeman, & Rick Vaive and then professionally set in Frameworth's renowned descriptive, etched framing. A certificate of authenticity and Hologram are included. Finished Size: 31x32"